Also please use [ code ] [ /code ] blocks, otherwise the posted code is a bit unreadable. Anyone know how are data stored in TransformMatrix? where "screen_coords" is "inverted" then renamed to "p" in original shader, but thats it yea. 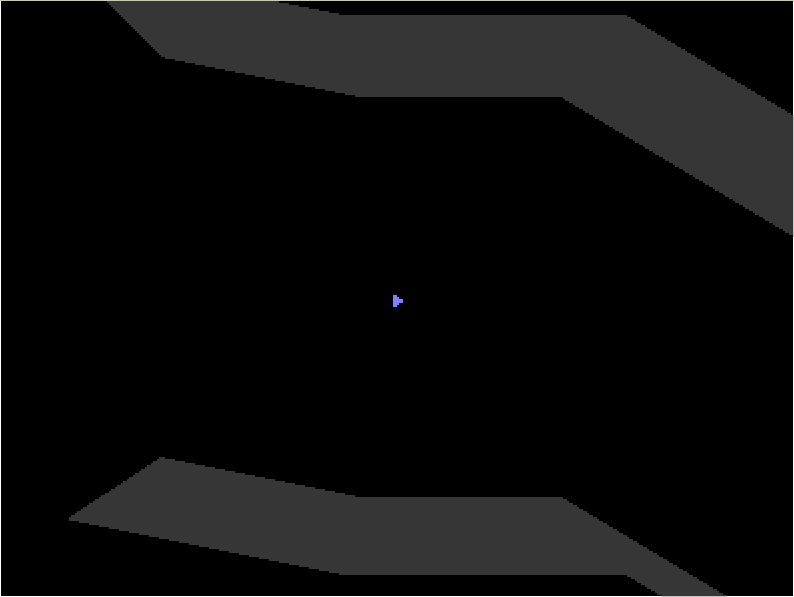 and then basically anything that is "p" in original shader is now "screen" in my shader. I'm not sure what you're saying here, but did you manage to improve the library or speed it up? If so, it would be greatly appreciated by a number of us here if you posted your changed library. actually i still have 3 steps left so not ready to post here yet. 1. decipher the data and extract+apply both rotation and skew in pixel shader. 2. use mesh vertex data instead sending them as extras for pixel shader. at this point it will be able to save at least the amount u need to perform additional computations on final positions coming from the scaling, rotating and buddies. also sending the data as draw(mesh) means all color settings available for mesh apply properly here. 3rd step would be sending custom vertex format with z and performing perspective calculations in shader, which will save hell lot, but to be useable by other people would need proper explanation of how to operate or modify the shader, so im saving it as last. also yea, even if it is going to be more cpu expensive with the 1s and 2nd step at least possibility to draw "like normally" without having to reset changes to colors and draw coordinate modifications between batches when u use and dont use shader will surely help, at least me (combined 2d and fake 3d drawing). by if i mean not rly sure if drawing as mesh ramps up cpu usage that much it would eat more than it would save. 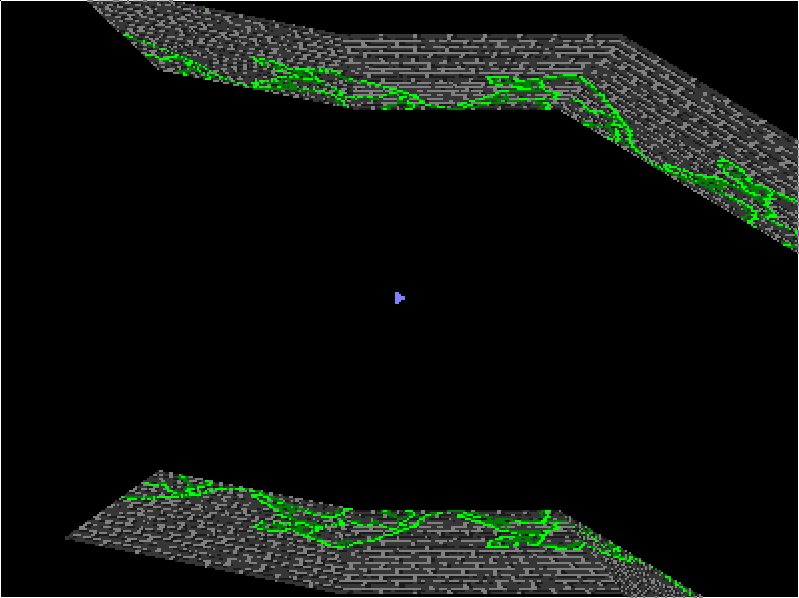 also when it comes to mesh, currently shader generates vertices anyway, just without colors. still need testing under various conditions, but separately and on basic tests all worked. complete modified shader after i link coordinates to mesh properly. Ok. so i tried to implement only the transformations support now. I will try to post new file, able to be drawn through draw() later when/if it is completed. Please try out and comment if transformations work properly in all cases. also excuse the simplified functions. Not sure if its going to be more cpu expensive to send vertices to shader through array like i did, reason for it being present is that id like you to test it against original shader which has different approach. also note that it doesnt support skew. thanks. modified file for love2d 0.10.2 to support scale, translate and rotate functions. currently for testing. Really nice library . There is a problem with the zoom. it uses 0,0 map coordinates as centre of the zoom instead of the current view central position. Fixed it! Was using an older version by accident. Returned from the grave to clarify that I would like people to use this as they see fit (something like an MIT liscence), just give me credit for my math! I love what you've done with it ghurk, I hope that people will continue to make useful modifications to this as long as it is still relevant. I am shocked at how well-commented the math in my original code is. I would usually just pile it all into one line using those mathy single letter variables. Looking through this from the start, I regret arguing with Ref about modifying my code, but it looks like I also regretted it in 2013 in one of my posts back then. I won't be active in this forum, but I'll probably visit again one day! Wow, this is exactly what I needed for a retro tunnel effect I I was working on! Last edited by molul on Thu Jun 07, 2018 4:36 pm, edited 2 times in total.